SubMain is committed to providing quality software products at reasonable prices. 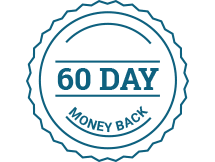 If, within 60 days of your purchase, you are dissatisfied with our software for any reason, you may request and receive a refund of the full purchase price or portion thereof, as applicable. SubMain products may be installed and evaluated with full functionality before purchasing. We encourage you to utilize this evaluation period to make sure the product meets your needs before you complete your purchase. To request a refund, contact us and provide your purchase reference number. Please give a short explanation as to why you are requesting a refund, and whether you are seeking a partial or full refund. This policy applies to products purchased directly from SubMain only. Purchases made through a reseller are subject to the refund policy of that reseller. If we feel that an individual or organization is taking advantage of this policy by engaging in a pattern of purchasing and requesting refunds repeatedly, we reserve the right to refuse or limit refunds in this circumstance.